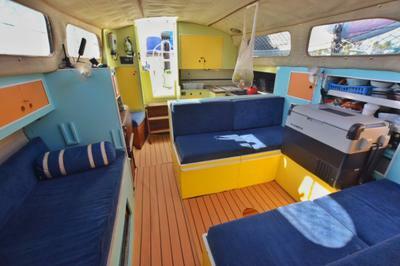 Our Sailboat 'Empress', a 1971 Finnrose 37 made in Finland, is For Sale! We have just arrived in Salinas, Puerto Rico with 'Empress' on January 30, 2019. We’ve owned her since May 2017 and have already sailed from the Florida Keys, Bahamas, Turks & Caicos, Dominican Republic and now Puerto Rico. From here in Salinas, Puerto Rico it is literally a small jump away from St Thomas, in the US Virgin Islands. 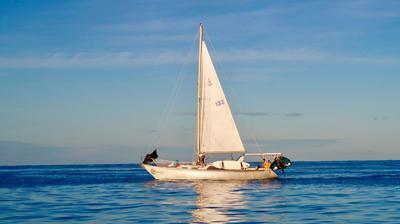 En route are the paradise islands of Vieques and Culebra to explore on the way! From St Thomas, you have the whole Caribbean Island chain right in front of you! Save yourself the Eastward battle against the wind from the US by jumping on a boat that is already here, is actually ready to go, actively lived on and currently cruised - not sitting in a boatyard or alongside a dock for a year or more. 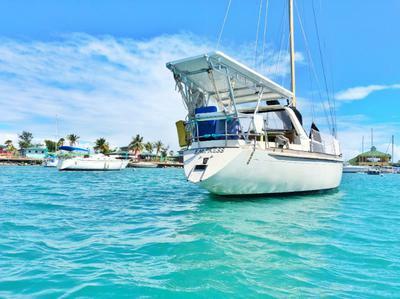 It's a liveaboard boat designed for modern travelers like us and not a project boat so you can enjoy the full season sailing in the Eastern Caribbean. Jonathan and I have been traveling the world for about 6 years now visiting more than 80 countries together, with more than two of those in South and Central America before we decided to buy a boat and go sailing in the Caribbean. 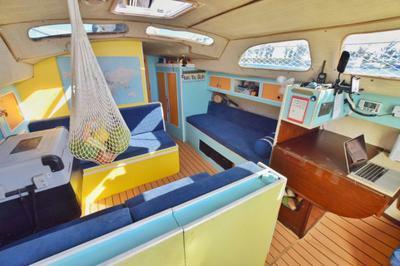 We have just arrived in Salinas, Puerto Rico and the time has come for us to sell our beloved Empress, 1971 Finnrose 37, improved and upgraded into an amazing liveaboard cruising sailboat. After almost two years on the boat and a total of nearly 6 years non-stop travel, Jonathan and I have decided to move back to Europe to do some 'grown-up things'. She has new standing and running rigging, new bottom paint, a brand new custom hard top with davits and solar, new windlass, new windows/portlights, well maintained Perkins engine, 2000 watts generator, new fridge and Dometic freezer, 9 foot Caribe RIB with 9.8 Tohatsu outboard, new 35 lbs anchor and 150 ft chain (plus another spare anchor) and so much more... including every tool and spares required + appliances and an $800 worth of memory foam mattress (among other upgrades). Her interior has been fully renovated which is designed for modern travelers like us. Basically, you just need to bring your clothes (maybe take some food as well but you can have some of our provisions that we recently bought from Sam's club.) and we shall be keeping her that way until the new owners come and get her to continue the adventure in Eastern Caribbean! P.S. If you can’t buy her and can refer to potential buyers, we'd be happy to give 5% referral fee for a completed sale!